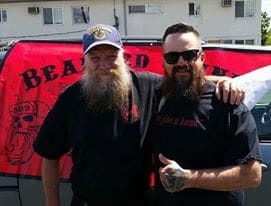 Traditionally, normies think that anyone with a beard or tattoos is a “bad” guy. Understanding the bearded stereotype means that beardos have to go above and beyond the call of duty when it comes to giving back to the community and making the world a better place. Charitable work is a huge part of any organization, especially when the work directly impacts people who have fallen on harder times. Dennis Morgan, Beardilizer’s Wonder-Guy, proved to all of us that not only does he have the mane of a lion but a heart of gold. Dennis, in his infinite bad-assery, was a founding member of the first Washington chapter of the Bearded Sinners Beard Club. This organization is based out of Washington and exists to help make the world a better place, starting in their backyard. 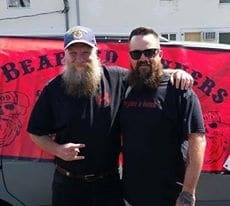 The organization exists for bearded do-gooders to come together to support everything local in their community from volunteering to fundraising. The Bearded Sinners has chapters in fourteen states in addition to the United Kingdom and Australia. The concept is simple: “We are bearded men. 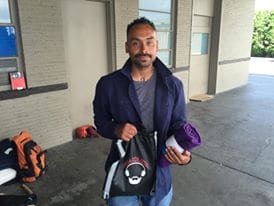 We are local do-gooders.” It’s no surprise when Dennis’ took his award winning beard to the streets with the rest of the organization to help out a vulnerable population in their community: men experiencing homelessness. 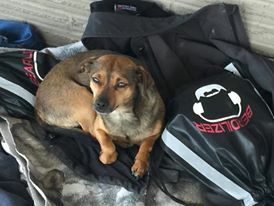 Dennis and his crew handed out hygiene packs to the community, which goes a far way when you stop to think about just how hard it is to keep clean when you do not have access to a shower, running water or all of the comforts of home. Let’s get mushy for one second. Think about the act of grooming and how it makes you feel clean. Cleaning up your beard, shaping up your beard, even being able to comb your beard all make you feel cleaner and better about yourself. SELF-CARE as those know it alls over at Tumblr say. 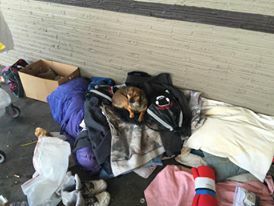 When Dennis and his crew gave out those packs, they were helping men going through a trying time feel empowered. Promoting a better sense of community is the first step towards helping those who have less than you. Doing charitable acts in your community is a great way to make the world that we live in better. After all, making the world better one beard at a time is the informal motto at Beardilizer. Okay, now that you found out that someone is cutting onions in your house, stop and think about how great it is to be a beardo. Not only do we have mad street cred thanks to our guy Dennis (WE LOVE YOU, MAN!) but there are organizations out there that do nothing but help people. 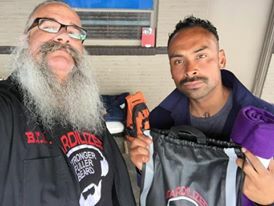 Beardilizer would love for you to check out the Bearded Sinners Beard Club Facebook page. Maybe you can get involved with your local chapter or even start your own chapter. With a great beard comes great responsibility. Look at our boy Dennis, after all. He’s an award winner, not only at the competitions but at life.